After four successive quarters of losses, Lafarge Africa Plc reported N17.56 billion pre-tax profit in Q4-2016 on (1) price-driven 1004bps y/y and 3290bps q/q gross margin expansion, (2) other gains/operating income of N9.97 billion (vs. losses in previous quarters), and (3) investment/finance income of N2.88 billion (highest since Q2-2015). 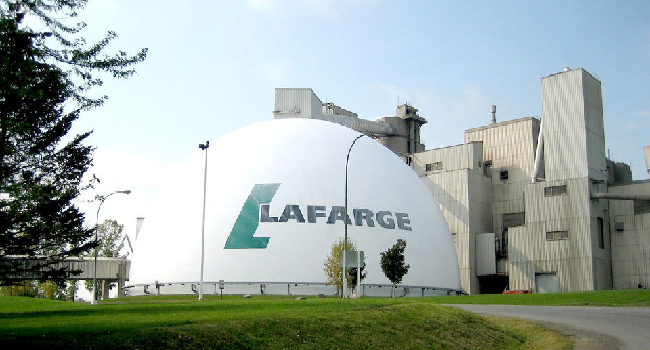 Of the above mentioned items that impacted the fourth quarter result, the restoration of gross margin to the pre-2015 price-crash levels (given the uncertainty of other items) will be most defining of LAFARGE’s return to profitable performance in 2017. Consequently, we have revised 2017 PAT forecast higher to N25.8 billion, from N11.2 billion previously. The PAT is also reflective of the elimination of forex-related losses as well as relatively higher sales volume. Cement prices in Nigeria are currently above the end-2016 levels, following the additional increases (twice) effected this quarter. We estimate LAFARGE’s realized average Nigerian price to be 42 percent above 2016 average. In addition, we look for relatively lower per tonne production cost, given the earlier-than-expected progress made with energy substitution, and considering that about 50 percent of 2017 capex outlay will be committed to delivering energy optimization. Notwithstanding the generally modest Nigerian cement consumption outlook, we forecast LAFARGE’s Nigerian cement sales volume to increase by c.7%, as markets lost in 2016 on production challenges (which limited supply capability) are reclaimed. For reference, Q4-2016 realized volume was 39 percent and 3 percent above Q3 and Q2 levels (during which energy challenges adversely impacted production) respectively, despite the relatively higher price. In addition to pricing and efficiency gains, we estimate 2017 EBITDA of N64.34 billion, higher than both the previous estimate of N50.2 billion, and the N29.65 billion reported in 2016. Following the revision to our forecasts, we have increased 2017 TP to N80.56 (from N60.10) and retain BUY recommendation on 107.37% upside. At current price, the stock is trading on a forward PE of 7.8x, at 37 percent and 5 percent discount respectively to Bloomberg’s SSA and Nigerian comparables. While acknowledging the risks to earnings recovery in the short term, we think LAFARGE’s shares have faced intense pressure and expect the market price to rise to our 2017 TP on relatively (compared to 2016) better performance. Key risk is that notwithstanding the expected lower production cost, the strength of LAFARGE’s profitability in 2017 has greater dependence on pricing development where we think the market leader (Dangote Cement) might a pull negative surprise. While updating on DANGCEM, we noted that the Group targets sizeable absolute Nigerian EBITDA in 2017 which is realizable under a lower price (from current level, but above 2016 average) scenario. From our sensitivity test, LAFARGE risks losing up to N9 billion of the above forecast 2017 EBITDA on N32,000-N34,000 realized average price scenario (from the N42,000 estimated). Target price under this scenario is N62.88, representing 57.60 percent upside from market value.